The Brain Gorger's Appetite is the Day Four Freebie at the Frog God website. 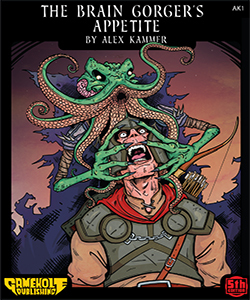 The author, Alex Kammer, is the main man behind Gamehole Con. Written for 5e it should also work fairly easily with the OSR system of your choice. Link for the Brain Gorger's Appetite. Link for the rest of the Frog God freebies.